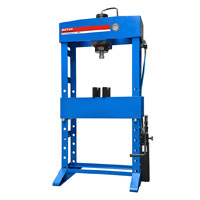 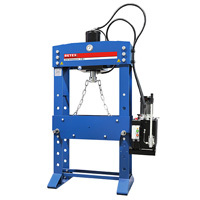 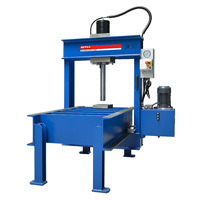 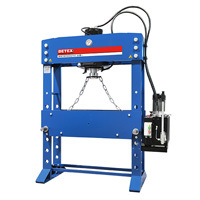 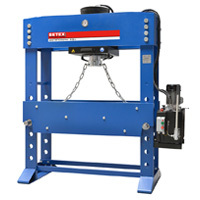 These electric hydraulic workshop presses are suited for general assembly work, straightening, and for testing a wide range of components. 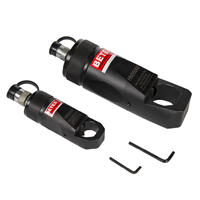 You have a choice of two different piston speeds: as soon as the rapidly lowering piston detects counter pressure, it will automatically switch back to a lower speed. 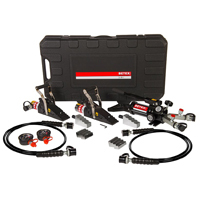 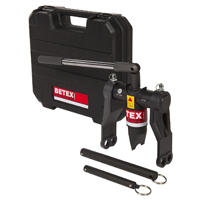 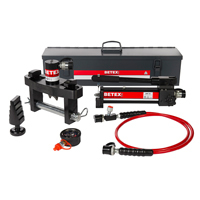 Extremely well suited for high-precision work, manual or electric operation. 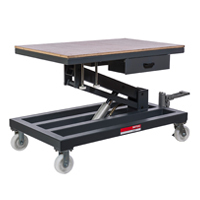 Work surface height is easy to adjust. 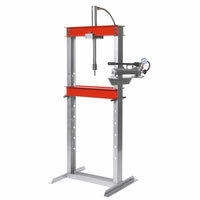 Cylinder can be moved horizontally on the upper frame. 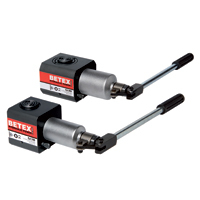 Two piston speeds, chrome-plated piston with removable piston head. 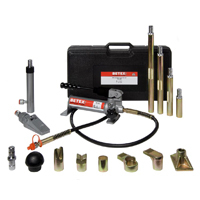 Joystick for high-precision piston operation. 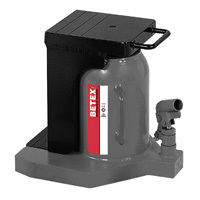 Double-acting hand pump (except for 300-ton version) for high-precision piston operation. 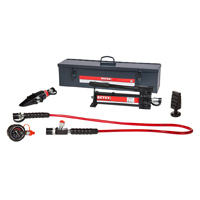 220V CEE connector to connect a lamp or drill, if required.